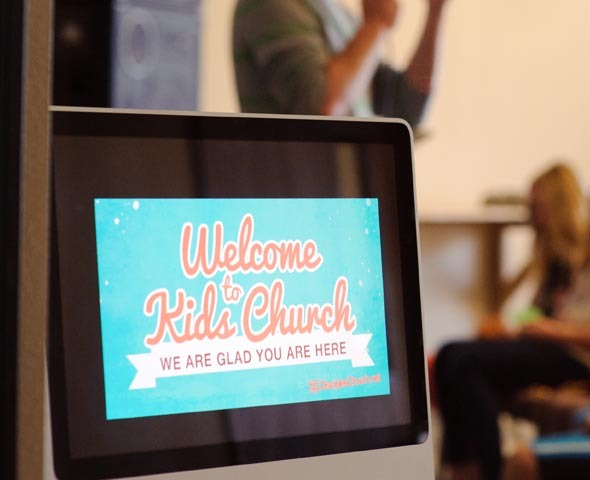 DC kids ministry encompasses three room / class choices for our families – Nursery, Preschool class, and our K-5th grade class. In Nursery, we provide loving arms and hearts to comfort, and safe play areas for babies 8wks -2 ½ years old with a wide variety of age appropriate toys. In Preschool class, we play a LOT! We want to show these active little ones the love of God by loving them actively. Lessons utilize arts and crafts, prayer and Bible reading. K-5th Grade class regularly joins adults in Main Auditorium for Worship, Communion, Baptisms, and Child Dedications. Our K-5thLessons emphasizes prayers spoken aloud by teachers and students, active game time, and Bible reading. We look forward to seeing you at our Sunday gathering! Nothing is more important to us than the safety and security of your children. 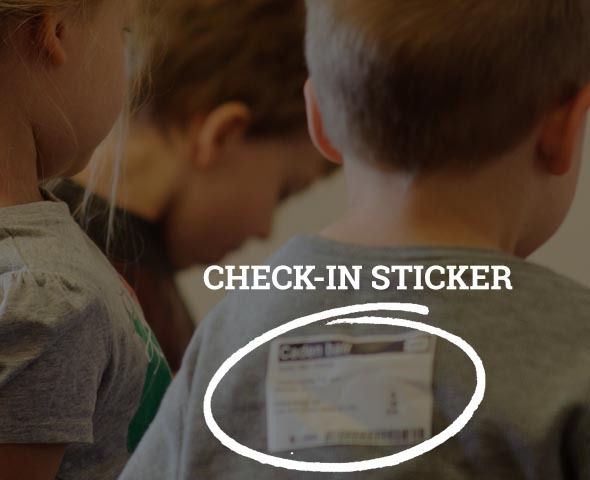 That’s why we’ve chosen Planning Center Check Ins to bring you the best experience at check-in and to provide you as parents the ability to act as a team with us to keep them in safe hands. After creating a very simple profile on your first visit with us Planning Center provides you and your child with matching tags, insuring your child’s safety as well as giving us a means to contact you discreetly during the adult gathering if you are needed. The whole process takes only a few minutes on your first visit and mere seconds on subsequent Sundays. We also will have a volunteer at the Check In station each Sunday to help you get situated. We look forward to serving you soon! In our Nursery, we exclusively offer Cheerios to age appropriate little ones with the approval of their parents. In our Preschool & K-5th classes, we provide a variety of snack including crackers, popcorn, granola bars, grapes, string cheese, etc. If your child has any dietary limitations, please speak with the teacher so we can be sure to provide safe snack options. Have a child with special needs or want to discuss how we can partner with you further? Contact our Children’s Ministry Director, Ruth Zive at ruth@discipleschurch.net, or call the church office to set up a meeting at 916-850-5655. What if my child is upset? Many children have initial separation anxiety but calm down very quickly. If your child remains upset for a longer that 5-15 minutes, we will send you a text message or send someone to get you. Who will by with my child? Every person serving in DC Kids is there to love children. Each adult volunteer goes through a background check, a training orientation, and is supervised by a ministry leader. Would you like to discuss anything with our staff? Contact our Children’s Ministry Director, Ruth Zive, at ruth@discipleschurch.net, or call the church office to set up a meeting at 916-850-5655.